It's always a special day when you're tasked with the honour of featuring a fellow wedding vendor's event. I had the privilege of meeting the lovely CLAIRE DURAN earlier this year at a floral conference and I'm excited to share her beautiful vow renewal held in the Dominican republic with you here today. 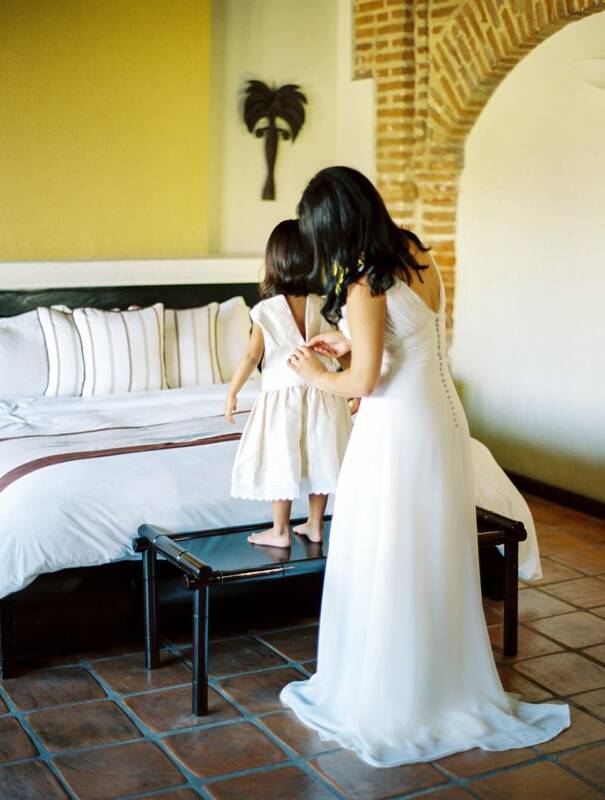 Captured by ASIA PIMENTEL PHOTOGRAPHY there were so many beautiful moments - especially the adorable 'mummy and daughter' getting ready session. 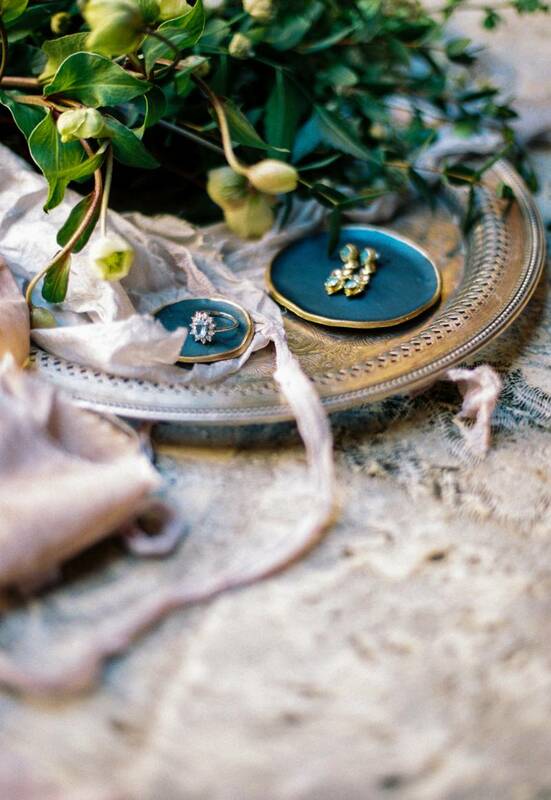 Claire tells us, "As a wedding planner, I get to re-design my ideal wedding several times per year in my head. And in all such imagination exercises there's always two common factors: it is an intimate wedding, and it's always the same guy (hahaha). 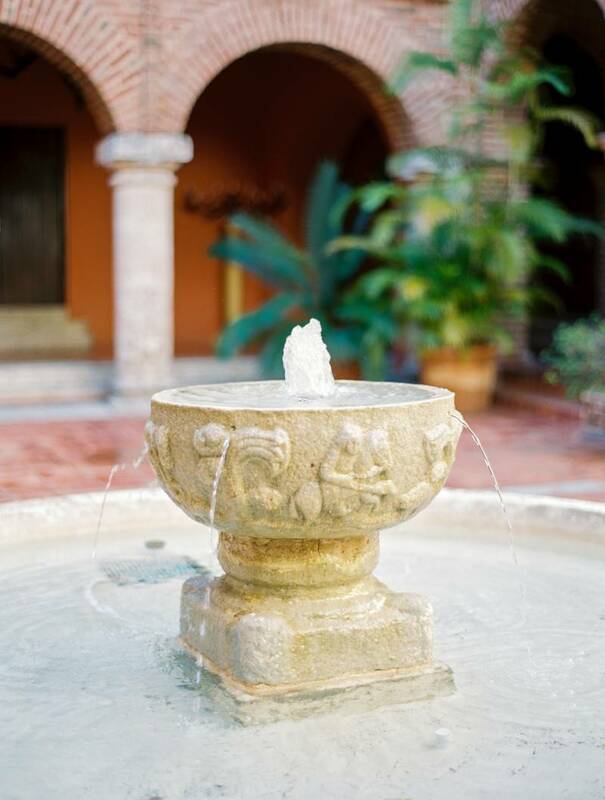 My husband and I live in the Washington, DC, area, but we were born and raised in Santo Domingo, Dominican Republic. Knowing that we were going to spend the holidays in our half island, and knowing that it was going to coincide with our fifth anniversary, I knew that it was time to put in motion a plan for a vow renewal! I called my dear friends and talented photographers Asia and Niko of ASIA PIMENTEL PHOTOGRAPHY and as soon as I confirmed a date where we were all available, I started putting the rest of the pieces together. All this time, my husband only thought that we were doing an anniversary session during which we would privately say new vows, that I had asked artist Carmela of CORSIVO CALLIGRAPHY to artistically write (we had agreed to write vows every five years and have them framed and displayed in our walls). But little did he know that I was actually secretly inviting our closest family and friends to join us. Another thing that we both really wanted was to incorporate our three year old daughter Mila into all the pictures. 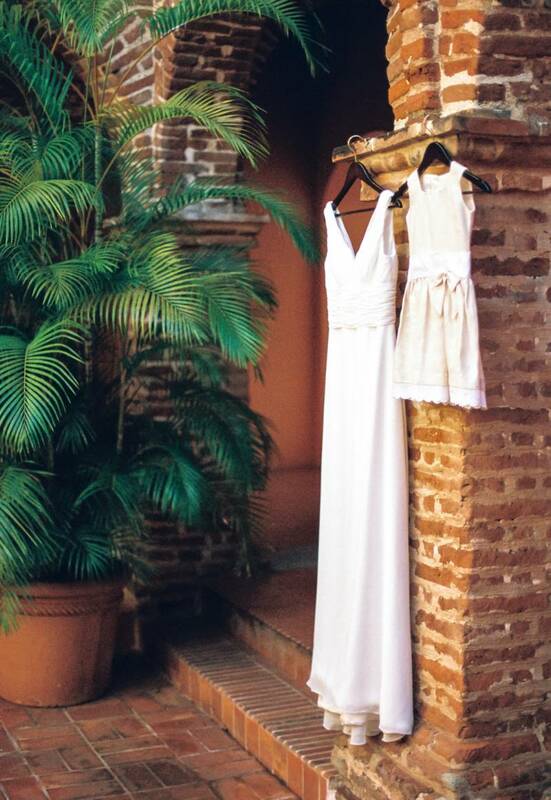 I got a room at the beautiful Hostal Nicolas de Ovando in the Colonial City so that I could do a mommy and daughter getting ready, and subsequently a family first look in one of the hotel's Spanish patios. After such moment, we then proceeded to the ruins of a 1500's hospital, also in the Colonial City, which was going to serve as the backdrop for more of these "pictures". However, when we walked in our guests were already sitting down, and prepared to see us walking down the aisle (again), while my brother played the Beatles in his guitar as we did our non-rehearsed processional. My husband was so pleasantly surprised, and just looked at me in disbelief of how I had managed to fool him all that time. We ended up having the ceremony of our dreams: intimate, funny and incredibly emotional. After it was over, we enjoyed some sweets and bubbles with our guests as we took in all the beauty and history of the space we were blessed to be in, and more importantly as we felt all the love we had for every single person who joined us that day. I am convinced that every five years I want to continue writing new vows (and sealing a wine in a wooden box for us to open 5 years after to celebrate five more years in marriage, which is another tradition we started on our wedding day, and repeated during our vow renewal). But I am also convinced that I want to always do it surrounded by our loved ones, and captured by amazing photographers whose work will always allow us to travel back to such beautiful moments."